Summerfest is in full swing in Sayville! The arrival of July means the first full month of a Long Island summer is finally here! With the sun shining bright and warm temperatures bringing Long Islanders out for family activities, the month is unsurprisingly packed with entertainment for all ages. First and foremost, the fact that Independence Day falls on a Tuesday means that many will be able to enjoy a four-day weekend! That extended weekend will certainly come in handy due to the amount of parades and displays of fireworks to enjoy! The fun doesn't stop after the Fourth of July, however, since there is a packed schedule of Summer Concert Series that will have everyone dancing to the music. Dozens of bands will be performing in a wide variety of genres at local parks and other outdoor venues, ensuring that everyone has a show to look forward to! Racing right along, those who like revving their engines will find quite a bit to love at one of the many Car & Motorcycle Shows scheduled this month. Vintage classics and original customs will all be on display both for those that love to drive and ones that are not quite old enough yet! Plus, a nice selection of Outdoor Activities will keep everyone active and enjoying all that nature has to offer. Without further ado, here are the must-attend events that you'll want to mark on your calendar! As the Fourth of July falls on a Tuesday this year, Long Islanders will be celebrating the holiday with four full days of nonstop thrills! Between fireworks shows, parades, and holiday-themed festivals, there are no shortage of local activities for your holiday weekend! Enjoy a sunset cruise featuring DJ entertainment, a cash bar, snack bar and a fireworks show starting at approximately 9:30 PM! Call for tickets and additional information! Spend your 4th of July evening aboard the Sapphire Princess with dazzling fireworks bursting above, a delicious dinner buffet, a 4 hour open bar, DJ entertainment and more! Call today to secure your reservation! TD Bank's "Celebrate America" Fireworks & Show at Harry Chapin Lakeside Theatre - FREE! Don't miss out on this fireworks spectacular in celebration on Independence Day in Eisenhower Park! Rain date is Sunday, July 2nd. Watch the Long Island Ducks take on the Southern Maryland Blue Crabs at Bethpage Ballpark and enjoy a Fireworks Spectacular, presented by The Rinx at Hidden Pond Park! Sag Harbor's Independence Day Fireworks Celebration - FREE! Make your way over to Marine Park, Haven’s Beach, Harbor’s Long Wharf or another great spot in Sag Harbor Village to view the much anticipated fireworks show by Grucci! Get moving during this 8K mile race, or 3 mile walk, to benefit the Southampton Rotary Scholarship Fund! Oysterponds Historical Society's Heritage Day - FREE! Enjoy a parade, Declaration of Independence reading, music and food at this celebration of history and culture. Children’s Main Street 4th of July Celebration at Bay Shore Bandshell - FREE! Sponsored by the Bay Shore - Brightwaters Public Library, this special family event will allow children to celebrate the 4th of July in their own ways! Watch the Long Island Ducks take on the Lancaster Barnstormers at Bethpage Ballpark and enjoy a Fireworks Spectacular, presented by The Rinx at Hidden Pond Park! Lace up your running sneakers for a 4 mile run and a 1 mile youth run on a flat course through the streets of Bellmore. Port Jefferson's 2017 Fourth of July Parade - FREE! Don't miss out on this parade celebrating Independence Day that goes from Main Street over to the LIRR Station. Enjoy a patriotic blast from the past with military drills, brass band concerts, contra dancing, demonstrations and more! Southold Village's Fourth of July Parade - FREE! Celebrate Independence Day on the Northeastern end of Long Island by attending Southold Village's 2017 Fourth of July Parade! Purchase your tickets in advance for this dinner cruise featuring a buffet picnic dinner, beer, wine, music by the 3B's and a fireworks display! You are invited to attend the 26th Annual 4th of July Fireworks Show hosted by Mayor Fare and the Valley Stream Chamber of Commerce. 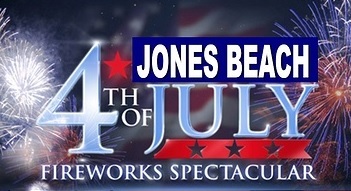 Jones Beach will be the site of a terrific fireworks display that will serve as the perfect capstone to Fourth of July weekend. For LongIsland.com's 2017 Independence Day Weekend Fun Guide, click here! With a variety of festivals, craft fairs, and other family events to choose from, July is the perfect month to gather the family and spend the day at a local event! Southampton Artists Association Art in the Park - FREE! 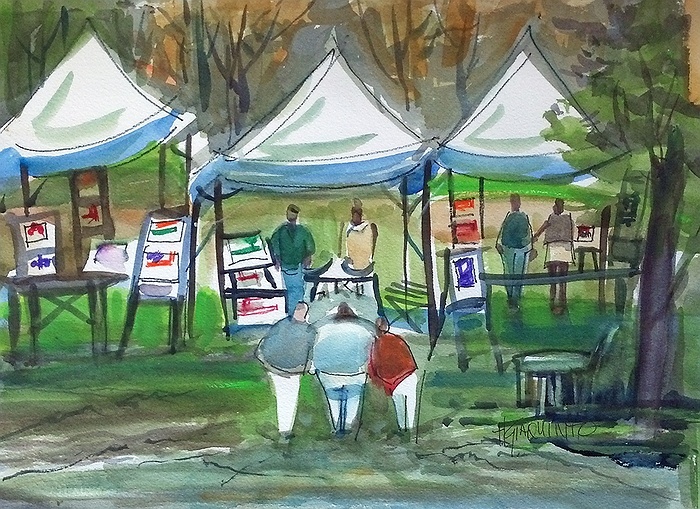 Sponsored by the Southampton Artists Association, dozens of exhibitors will be in Agawam Park to showcase their paintings, photography, sculptures, and other forms of creative expression. Westbury Farmers & Artists Market at The Piazza Ernesto Strada - FREE! 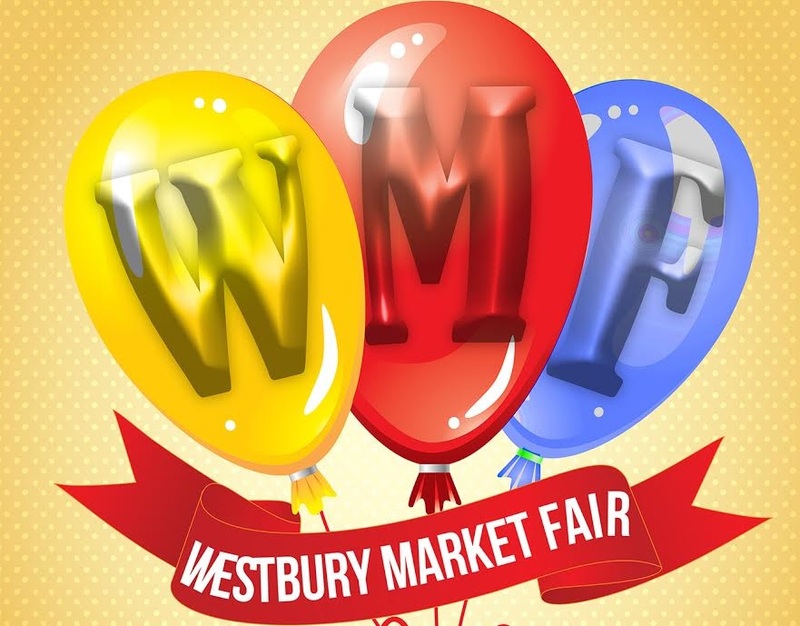 Head to Westbury for a weekly market filled with fresh produce, baked goods, and a variety of artistic pieces and homemade crafts. Patchogue's 16th Annual Alive After Five - FREE! Patchogue's renowned Alive After Five series returns this July for what is shaping up to be an exciting series. Enjoy four nights of fantastic live music across seven stages and delicious food at Patchogue's best restaurants. Greenport Gallery Walk - FREE! On the first friday of each month, Greenport Village invites those interested in art to peruse local galleries and visit the town’s shops and restaurants. Southampton Antique Fair at Rogers Mansion - FREE! Rogers Mansion in Southampton will be packed with vendors selling everything from one-of-a-kind antiques to beautiful pieces of jewelry. Mattituck Chamber of Commerce's 40th Old Fashioned Street Fair - FREE! Gather the family and head to Mattituck for the 40th iteration of this beloved seasonal event. Attendees will enjoy tasty food, live music, and various arts and crafts vendors. Lazy Days of Summer at East Village Green Park - FREE! The Levittown Community Council invites members of the community to congregate at East Village Green Park for a day of family entertainment and various games. Riverhead's Alive on 25 - FREE! Downtown Riverhead will spring into life on July 13th for the first of four Alive on 25 festival dates this July and August. Main Street will be closed for a full festival complete with live music, restaurant specials, and family activities. Montauk Historical Society Craft Fair at Second House Museum - FREE! Artisans from all around the area will gather in Montauk for this special two-day craft fair. Mineola Craft & Gift Show at Knights Of Columbus #2502 - FREE! Presented by Long Island Craft Shows & Knights Of Columbus #2502, this special show will provide Long Islanders with the perfect opportunity to acquire some unique treasures. 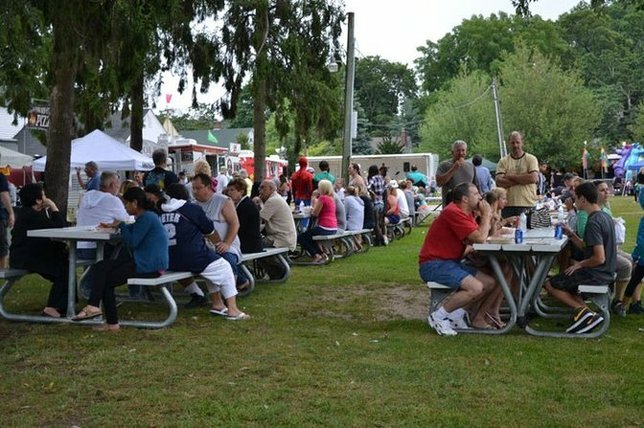 The Huntington Manor Firemen's Fair will be bringing amusement rides, live music, and tasty treats to Oakwood Road in Huntington for some old fashioned summer fun. Family Fun Day at Port of Egypt Marine - FREE! Port of Egypt Marine in Southold will be hosting a day of family entertainment including boat rides, live music, local vendors, and activities for all ages. Sponsored by The Old Town Arts & Crafts Guild, Inc. and The Southold Historical Society, this summer fair will offer visitors the chance to purchase fine art, antiques, handmade crafts, and more. The summertime is not solely reserved for relaxing on the beach. If you're looking for some high-octane fun, be sure to attend one of the local car shows happening in towns across Long Island! The L.I. 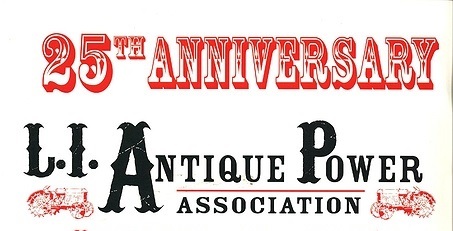 Antique Power Association will be holding its 25th Annual Summer Show this July, featuring antique engine displays, tractor pulls, and a LI Chapter American Truck Historical Society display. 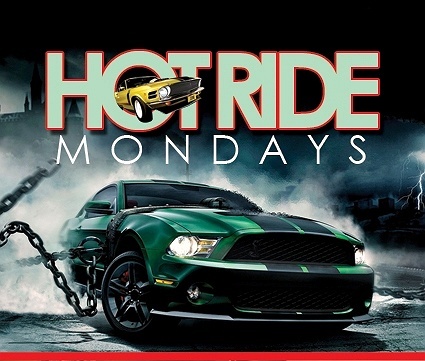 Long Island's largest weekly car show will be at the Pennysaver Amphitheater on Mondays during the summer. All ages are welcome to attend and enjoy the vehicles on display. Westbury Classic Car Meet Up at Shoppers Parking Field #4 - FREE! Car enthusiasts in the Village of Westbury meet up each week to showcase their rides and enjoy the vehicles others bring. Presented by the Road Lords Car Club of New York, this benefit car show will help raise money for Scarlett James' ongoing care in her battle against Rett Syndrome. The Metro North Region Porsche Club of America will be at the Vanderbilt Museum on Sunday, July 9th for a special showcase event for both adults and children. Mark your calendar for the 12th Annual Ford Lincoln of Huntington Thunderbird & All Ford Car Show. There will be food, a 50/50 raffle, door prizes, live music, and more. This annual car show brings over 100 cars to Sagtikos Manor for an unforgettable afternoon that auto enthusiasts will not want to miss. L.I. Buick Club's Monthly Meeting at Marjorie Post Park - FREE! The Long Island Chapter of The Buick Club of America meets each month at Marjorie Post Park to celebrate the long history of Buicks. Join hundreds of veterans and their families from across Long Island for the 5th Annual Kick Stand Up Motorcycle Poker Run and Car Show. Proceeds will benefit Suffolk County United Veterans which provides housing and support services for homeless veterans. Venues across Nassau and Suffolk Counties will be hosting fantastic indoor concerts throughout the summer, but for something a bit more seasonal, head to one of the dozens of outdoor shows on the schedule! Huntington Summer Arts Festival at Heckscher Park - FREE! The Huntington Summer Arts Festival brings free performances to Heckscher Park's Chapin Rainbow Stage Tuesdays through Sundays each week. Attendees will be able to enjoy a wide variety of performances including family shows each Tuesday. Lakeside Theatre at Eisenhower Park's Summer Concert Series - FREE! Long Islanders are invited to attend Nassau County's 2017 Summer Concert Series at the Harry Chapin Lakeside Theatre. Attendees are encouraged to bring folding chairs and blankets. 5th Annual Sound of Summer Music Series at Strong's Water Club & Marina - FREE! Enjoy live music outdoors on the lawn and enjoy the sunset at Strong's Water Club during this annual concert series. Lindenhurst's Summer Concert Series at Lindenhurst Town Square Gazebo - FREE! The Village of Lindenhurst will be celebrating the summer season with ten Saturday performances that will have Long Islanders cheering. From performances by The Good Rats to Unbroken Chain, there are a variety of rocking concerts that are sure to please everyone. Jones Beach Bandshell's Summer Concert Series - FREE! Whether you're looking to see an acclaimed rock tribute or attend one of the Latin Dance Nights, Jones Beach Bandshell's summer schedule is overflowing with dozens of upcoming shows. Smithtown's Family Concert Series at Hoyt Farm - FREE! The Smithtown Recreation Department is proud to present its annual summer concert series, which will include performances by the Cold Spring harbor Band and Dr. K's Motown Revue, among others. Montauk's Summer Concert Series at The Village Green - FREE! Sponsored by the Montauk Chamber of Commerce, weekly concerts at the Montauk Village Green will range from Gene Casey & The Lone Sharks to Klyph Black. Southampton's Concerts In The Park - FREE! The Southampton Cultural Center will be sponsoring a summer concert series packed with 12 great shows this summer, including performances by the Chiclettes, Billboard Live, and plenty of others. Concerts are held on Wednesdays at 6:30 PM and some Saturdays at 5 PM. Bay Shore's Brown-Bag Lunchtime Concert Series at Main Street Bandshell - FREE! Bay Shore's Brown-Bag Lunchtime Concert Series is sponsored by the BID & Islip Arts Council. Performances are held at the Main Street Bandshell every week throughout July and August. Port Jefferson's Sunset Concerts at Jeanne Garant Harborfront Park - FREE! Mayor Jeanne Garant Harborfront Park will be coming to life every Wednesday through July and August for concerts like the Hank Stone Band and Danny Kean. Town of Babylon's Summer Concert Series at Tanner Park - FREE! With some of the hottest original acts and tribute bands in the country, Town of Babylon's Summer Concert Series is one of the hallmarks of the South Shore's entertainment slate. Over a dozen concerts are scheduled across the span of less than two months, so grab your chair and prepare for a summer of unforgettable tunes. Summertime In The Park Concert Series at Main Street Bandshell - FREE! Wednesday nights in Bay Shore will be filled with the sounds of the Bay Shore-Brightwaters Symphonic Band concerts and plenty of other featured musical acts. City of Long Beach's Summer Concert Series - FREE! The City of Long Beach's Summer Concert Series is set to provide residents with multiple nights of music each week, including performances by Wonderous Stories, BonJourney, Risky Business, and others. Westbury's Summer Concert Series at Piazza Ernesto Strada - FREE! The Piazza Ernesto Strada on Post Avenue and Maple Avenue in Westbury will be hosting family concerts and performances through the end of summer. Smith Haven Mall's 2017 Summer Concert Series - FREE! With performances by acclaimed tribute bands each week, the Lifestyle Village will be the place for outdoor music on Thursday nights throughout the summer season. Dennis Cannataro Family Summer Concert Series at The Smithtown Library - FREE! The Friends of The Smithtown Library's Annual Outdoor Series is set to rock your Thursday nights throughout the summer with concerts by Petty Rumours and Songs In The Attic, just to name a couple. Port Jefferson's Summer Harborside Concert Series at Jeanne Garant Harborfront Park - FREE! Port Jefferson's Summer Harborside Concert Series has become a tradition in the town - and for good reason! With a great variety of musical acts, the series is able to take advantage of the town's fantastic atmosphere. Town of Oyster Bay's Music Under The Stars Series- FREE! 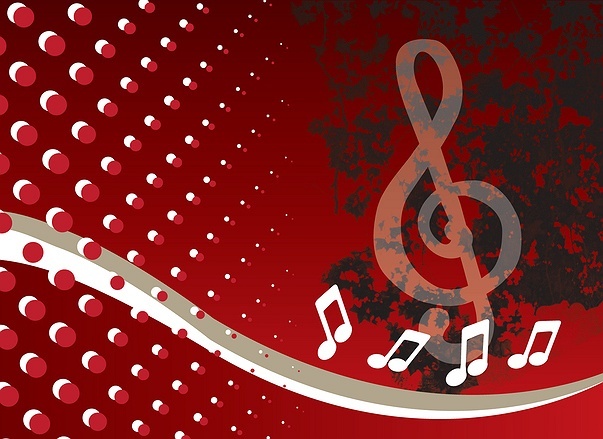 The Town of Oyster Bay's Music Under The Stars series will have your foot-tapping during July and August with a plethora of renowned musical talent like Rockin' The Paradise, Chicago 9, and the Nassau Pops Symphony Orchestra. Northport Community Band Summer Concert Series at Northport Village Park - FREE! The Northport Community Band will make sure that your Thursday nights are filled with great music throughout July. Musical Happenings on Main Street at Northport Harbor Park - FREE! Featuring performances by Andrew Fortier, Cathy Kreger, Willie Steel, and plenty of others, Northport Harbor Park will be filled with the sounds of live music throughout the summer season. Riverhead Townscape's Summer Concert Series at Grangebel Park - FREE! Enjoy a night in downtown Riverhead while the beautiful sounds of live music, like from the New York Exceptions and Exit 47, whisk you away! Glen Cove Friday Night Downtown Sounds at The Village Square - FREE! Soul Sound Revue, Nonstop to Cairo, and Kamellot are just some of the bands scheduled to perform during this year's Glen Cove Downtown Sounds series. Musical Moments in Kings Park at Russ Savatt Park - FREE! Every Friday night, head to Main Street in Kings Park to enjoy live outdoor music and local restaurant specials to celebrate the warm weather. The series features local artists and the music starts at 7:30 p.m.
Summer Concerts at The Bellport Bandshell - FREE! Bellport's Bandshell has an absolutely packed schedule of musical acts for its 2017 Summer Series. Grab your lawn chair and head down for one of these dates - or all of them! Town of Hempstead's Summer Concert Series - FREE! Town of Hempstead's Summer Concert Series is absolutely packed to the brim this year with Broken Road, Captain Fantastic, and The Capris all just serving to get the summer party started. Alive & Kickin', Ring of Fire, 45RPM, and The Capris will all be performing at North Hempstead Beach Park this July, so be sure to grab your beach chair and some snacks. East Quogue Village Green Summer Concert Series - FREE! The East Quogue Civic Association, East Quogue Chamber of Commerce and the Town of Southampton will join together to showcase performances by beloved tribute acts. Village of Cedarhurst's Under The Gazebo Series - FREE! With fantastic concerts being held every Tuesday through July and August, Cedarhurt is the place to be for a wide variety of musical acts this summer. Pre-shows begin at 7 PM and the main act will take the stage at 8 PM. Nesconset's Summer Concert Series at The Gazebo - FREE! Featuring performances by The 90s Band, Stanton Anderson, and plenty of others, this weekly concert series in Nesconset will have your foot tapping throughout the summer. Tuesday Night Performances at Clark Botanic Garden - FREE! Plaza Theatrical Productions' presentation of Madagascar gets the series started on July 11th and plenty of great performances are scheduled for the following weeks. Returning for its 10th year, the Great South Bay Music Festival has become a staple of summer entertainment on Long Island. This year, performers include 311, Gov't Mule, The Wailers, Eddie Money, and dozens of others. Summer Performances at Manorhaven Beach Park - FREE! Broken Road, a tribute to Rascal Flatts, will be filling Manorhaven Beach Park with the sounds of country music. Mary Jane Davies Green Summer Concert Series - FREE! Bring a chair and head to Mar Jane Davies Green in Manhasset for performances by Penny Lane, Randi And The Rainbows, and other acclaimed acts. Since July has some of the most beautiful days that Long Island experiences all year, families are going to want to take advantage of the opportunities for outdoor fun! From fishing clinics to nature hikes, here are some ways to stay active this month! Fishing Clinic at Lt. Michael P. Murphy Memorial Park - FREE! 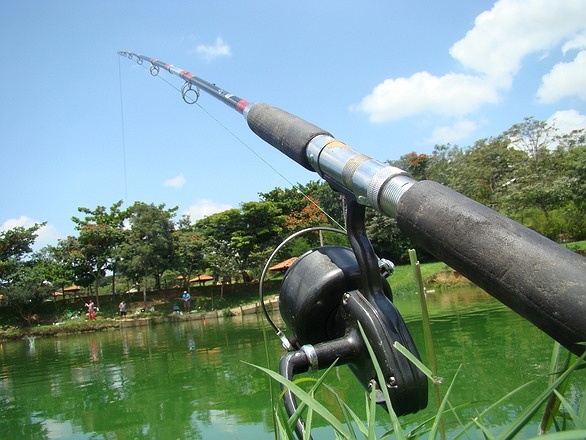 The New York State Department of Environmental Conservation will be offering a free fishing clinic to teach the basics of fishing equipment, fish identification, and applying for licenses. Seashore Shelling at Fire Island National Seashore Wilderness Visitor Center - FREE! Participants of all ages will walk along the beach and look for a variety of sea shells. Full Buck Moon Hike at South Fork Natural History Museum - FREE! Friends of the Long Pond Greenbelt and South Fork Natural History Museum will guide hikers on a one-hour journey through local trails. Pick it Up! at Fire Island National Seashore Wilderness Visitor Center - FREE! Join the Riverhead Foundation for Marine Research and Preservation to help clear Fire Island’s shoreline and make it pristine for all to enjoy. Played on sand courts, this two-day volleyball tournment will bring together 4 and 6-player teams for free matches. Town of Islip's Fishing Clinic at Knapps Lake - FREE! Southampton Trails Preservation Society’s Presentation and Walk - FREE! Presented by the Southampton Trails Preservation Society, this special walk will allow participants to enjoy nature while learning about local trails. Head to the Elizabeth A. Morton National Wildlife Refuge in Sag Harbor to learn about the aquatic creatures that call the area home. Summer Fun to Enjoy All Month Long! There may be enough events this July to keep families busy for multiple months, but there are still plenty of other activities waiting to be enjoyed. Regardless of whether the sun is shining bright or rain clouds are keeping everyone indoors, here are some ideas to keep the good times flowing this month! Dozens of beaches along Long Island's famed coastlines provide the ideal setting for a little fun in the sun. Perfect for wading in the water or an afternoon picnic, local beaches are an absolute staple of the summertime! Whether you're fasinated by aviation or Long Island's storied nautical history, there is a museum for you in Nassau or Suffolk County. More than one hundred local museums mean that there is always a new destination to explore when temperatures rise too high or the rain clouds gather. All summer long, town squares across Long Island will be hosting Summer Concert Series that feature many of your favorite local bands and cover bands. Best of all, these series are often sponsored by towns and local organizations, making them free for all attendees! What better way to cool down and relax on a summer scorcher than heading over to one of Long Island's many local theaters to catch one of this summer's biggest blockbusters, or even an upcoming indie flick? LongIsland.com's Movies Section has up to date listings on what movies are showing at nearby theaters, so be sure to check in before heading to the cinema! Have an event that you're especially looking forward to this July? Let us know in the comments below! Want Your Event Featured In One Of Our Upcoming Fun Guides? Send an Email Letting Us Know About Your Exciting Upcoming Event! Subject: LongIsland.com - Your Name sent you Article details of "LongIsland.com’s July 2017 Family Fun Guide: 4th of July Fireworks, Family Festivals, Car Shows & More!"